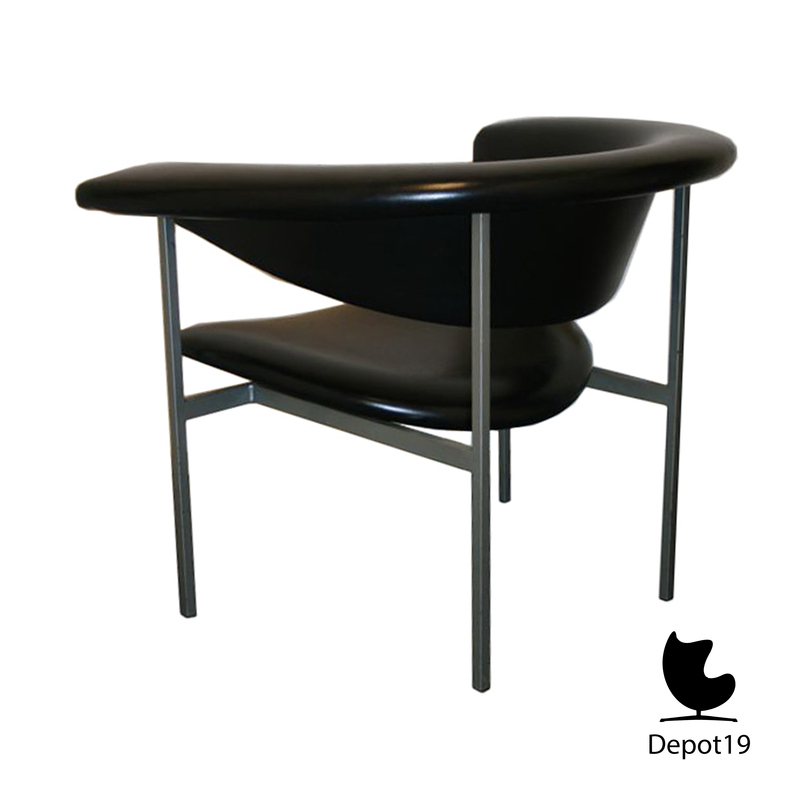 The design was voted the best furniture design in 1964 by the American Institute of International Designers. 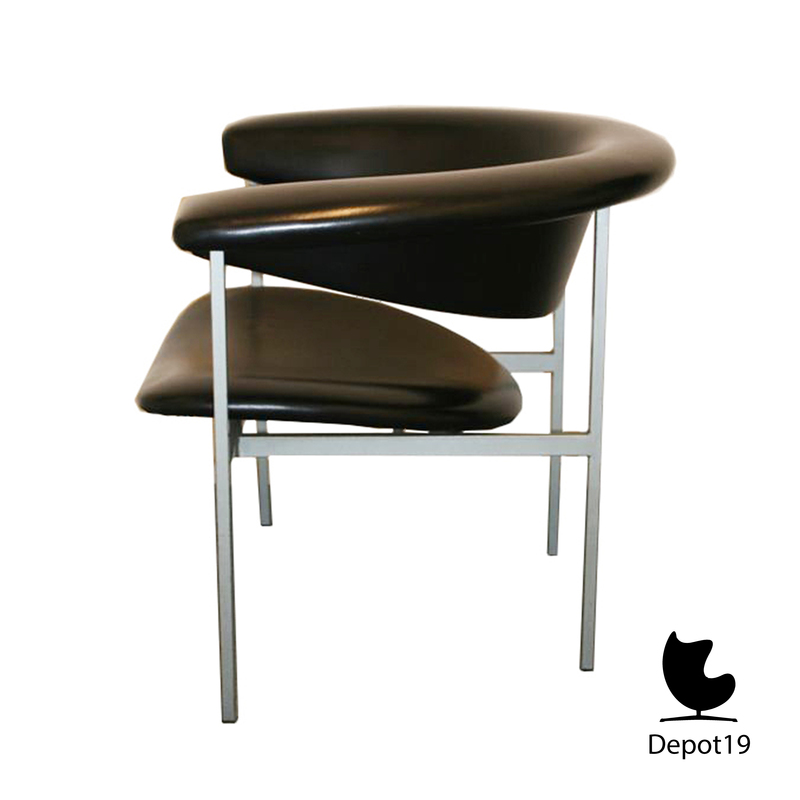 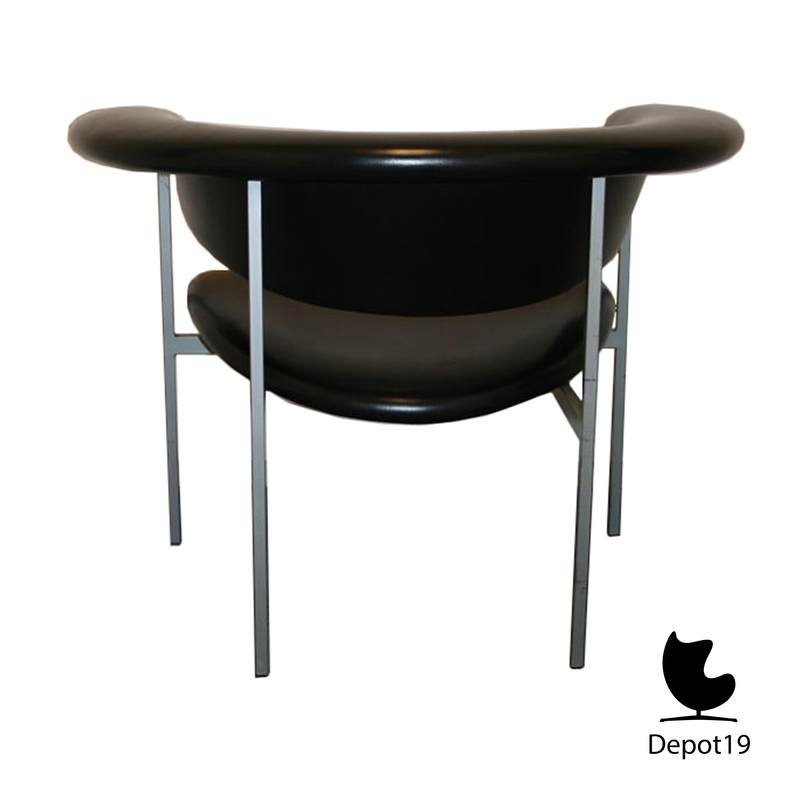 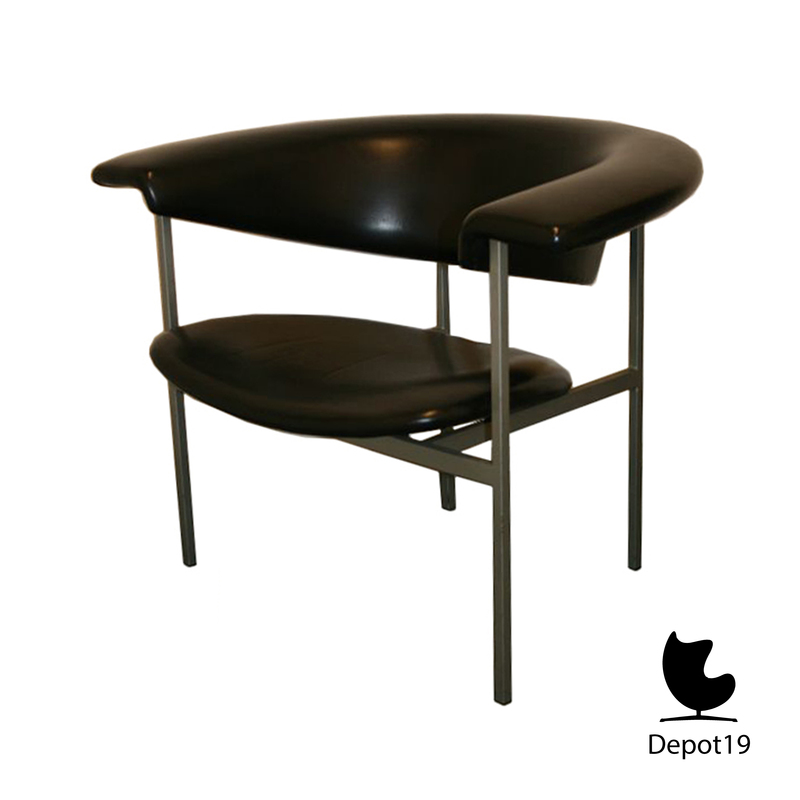 A sleek design with grey metal frame and still the original black artificial leather upholstery. 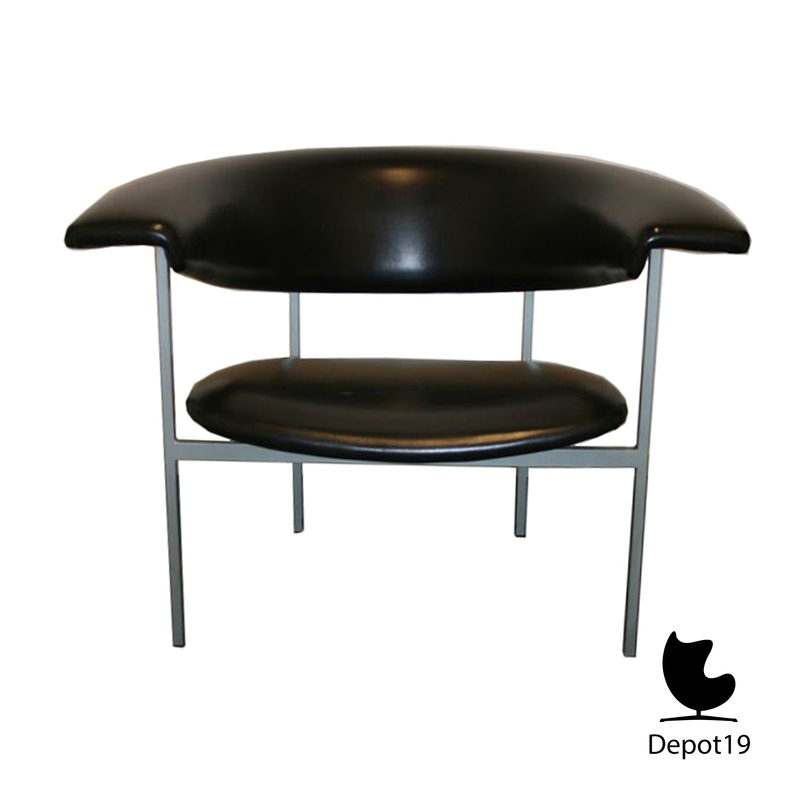 The chair is in good original condition with little wear consistent with use and age. 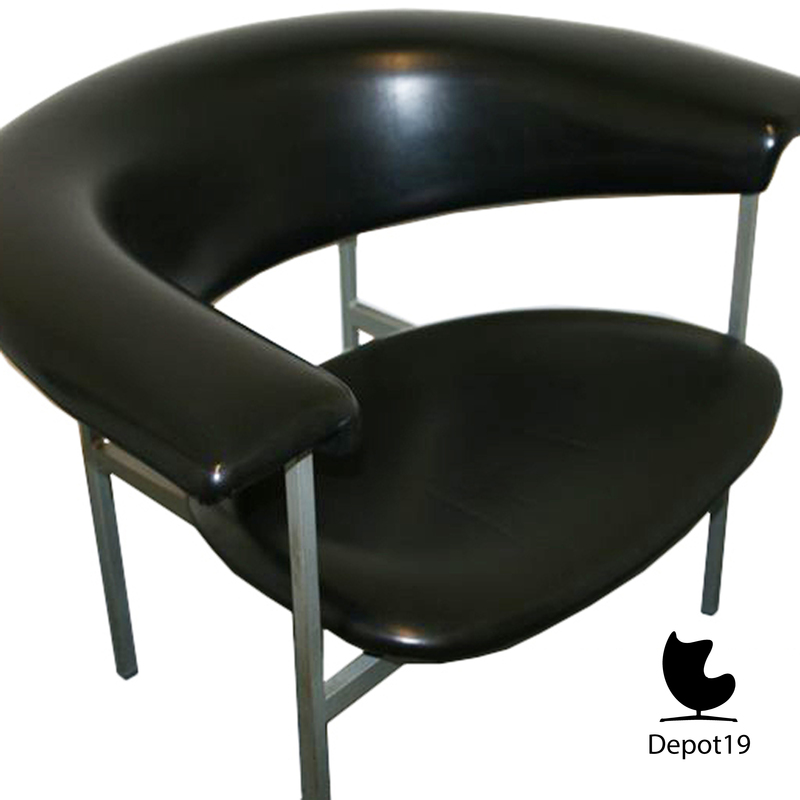 This chair has to tears.